Drive across the Qara Mountains and on to the Nejd area of Dhofar. It’s the most popular place in Dhofar due to its magical sand dunes. You will take an unforgettable memory to share with your family and friends back home. Have a brief stop at Thumrait known as a Bedouin settlement. We drive further to Empty Quarter or Rub Al Khali. Here you will have the chance to see 250 metres and above sand dunes and experience the Dune Bashing that’s made by our Experienced Driver how will show you this with the most thrilling and adventures driving. Enjoy a beautiful sunset over the sand dunes before you reach our camp site. You can enjoy riding a camel. Arabian Coffee and traditional dates are also served on arrival at the camp. Later you will be served a delicious B.B.Q. dinner and Shisha (the Arabic water pipe). After the breakfast, served at the camp on the next day, head to the lost city of Ubar (UNESCO World Heritage site), According to myth, the desert swallowed up Ubar. Quite literally, it sank without trace -becoming the fabled Atlantis of the Sands. This once buried city, which was spotted by satellite. On our return to Salalah , we pass by Frankincense trees . 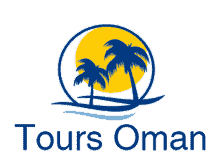 one of the unique among Salalah tours .return to Hotel.